Toronto City Hall’s LED lighting system on the Green Podium Roof is designed to enhance the architecture of the building. 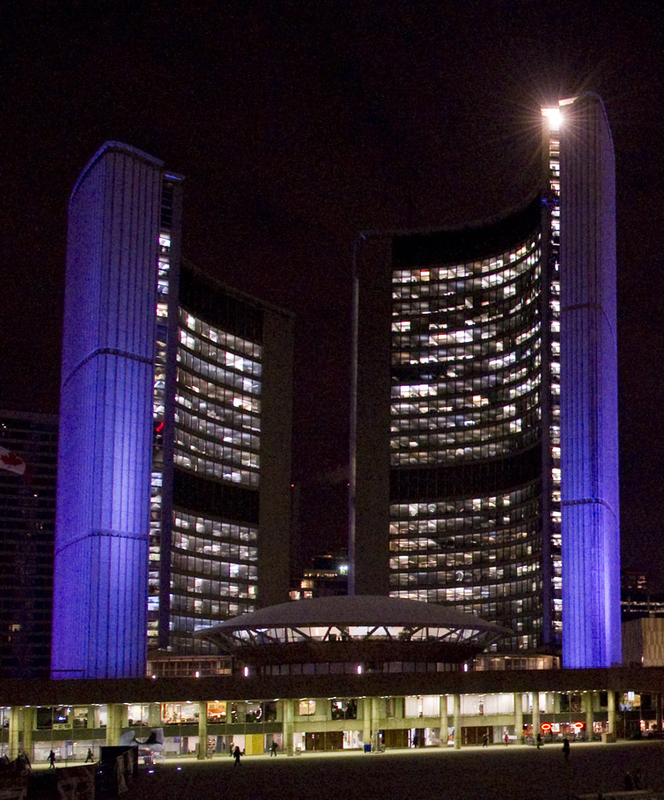 Organizations can request that the towers be illuminated in specific colours to promote their cause. On this page you’ll find information on how to submit a request, the approval process, and a list of conditions under which requests will not be considered.